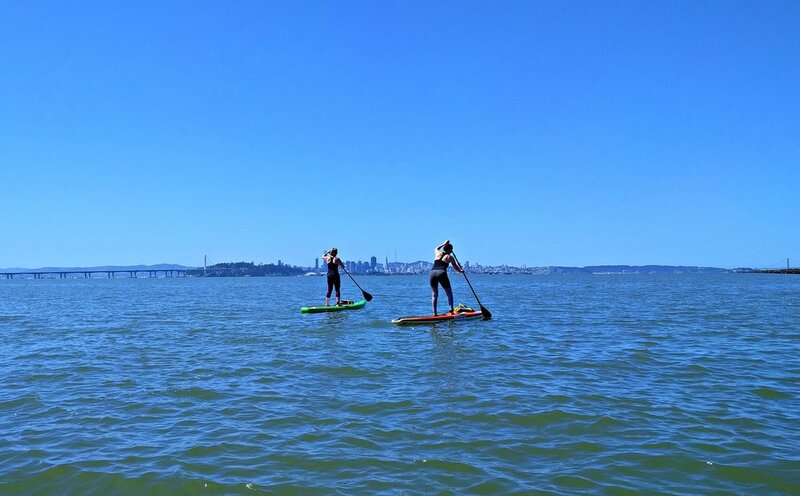 A Stand Up Paddleboard Boot Camp! 510-Fitness can burn as many calories as running, with less impact on the joints. Learn advanced stroke techniques, interval training, race workouts and beach fitness! Each 510-Fitness class is different, keep your body guessing and your mind focused. 510-Fitness is a comprehensive exercise experience blending cardio, strength, flexibility and balance into a total-body workout. A typical 510-Fitness session includes a dry land warm-up, on the water circuit training of paddle sprints alternating with boot camp, body-weight workouts on your board, and cool down. Like anything, the more often you come the better and stronger your paddling will become. 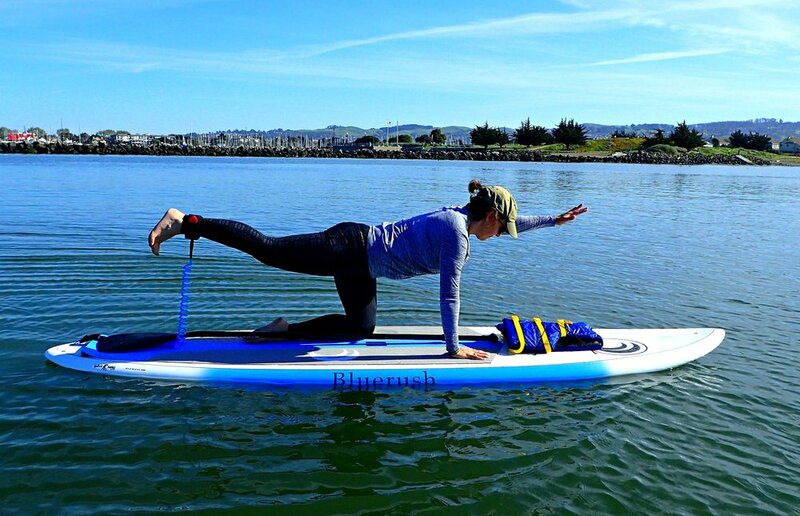 There are benefits of the addition of stand up paddleboarding to enhance your overall fitness for any sport. Chris Fellows of the North American Ski Training Center writes in Total Skiing "Consider getting out on the water. Padding is a great core and cardio workout since your ability to propel the paddle through the water with a powerful stroke is determined by your gross strength. This movement also mirrors driving skis through thick heavy snow. 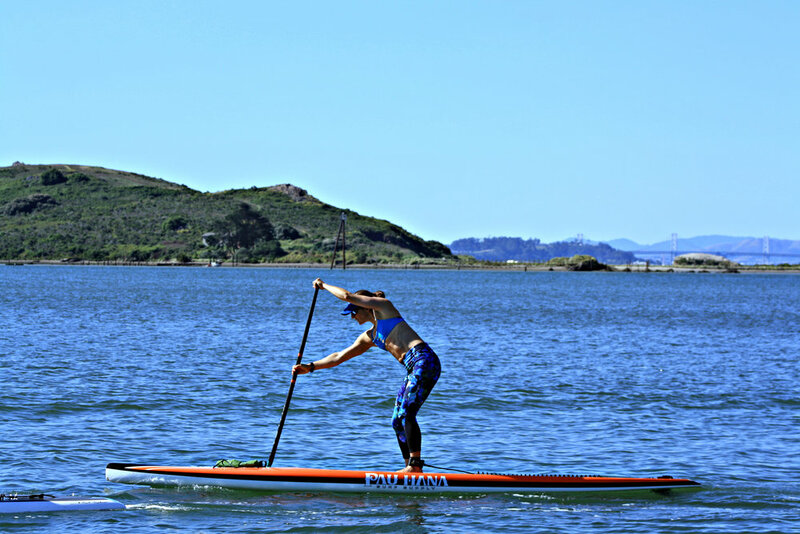 Stand up paddleboarding on flat water strengthens the core, improves balance, stabilizes muscles, and sharpens nerve endings for skiing." Experience is necessary. 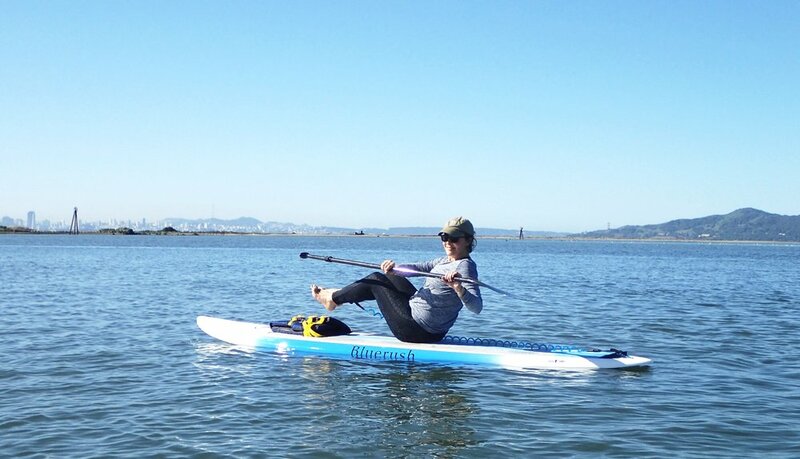 Take our 510-SUP Intro class to learn the basics before attempting a fitness paddle class. For 510-Fitness plan on wearing athletic shoes and socks for the dry-land warm-up portion of our workout. Price includes board, paddle, leash, PFD (personal flotation device), and certified WPA Level 1 Fitness Instructor. You may want to plan on getting wet, some exercises are done kneeling or lying on the board. And, while not guaranteed, falling off the board does happen. Minimum age is 12 years, minors must be accompanied by an adult.